Practice makes perfect or so they say. Whether that’s true or not, the more exposure you can get to analysing deals, whether they’re your own or other people’s, the better you’ll become. However it’s not just about getting the basics right; the real benefit is in short-cutting your way to experience. Most developers only learn from their own deals which means their experience builds slowly. Here you’ll be learning from lots of different deals, and building up your knowledge far more quickly. Imagine having a seasoned property developer walk through your own deal looking not only for flaws but also for opportunities you may have missed. How much money could that potentially save you (or make you)? These are intimate sessions with strict limits on attendee numbers – that way we can ensure that everyone gets to ask questions and get the most out of them. Please note that the Live Deal Workshops are only available to our 4-day Masterclass graduates. 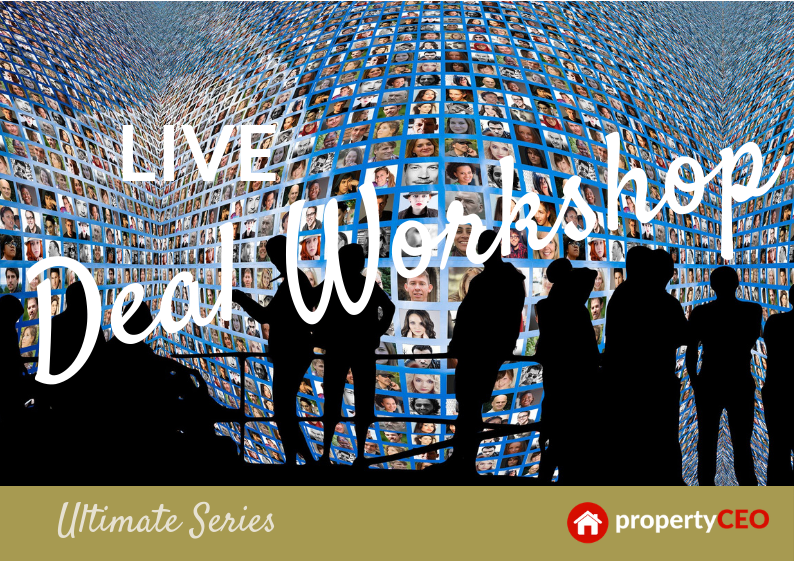 The Live Deal Workshop costs £397 + VAT per month payable quarterly in advance. To find out more, please get in touch with the Helpdesk at enquiries@propertyceo.co.uk and we’ll be happy to give you more information.